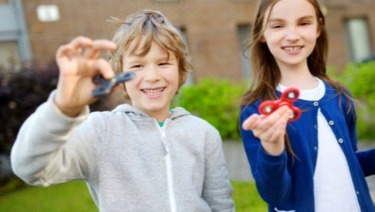 ​​Fidget spinners have become extremely popular with people of all ages, including young children. Fidget spinners are typically designed with a center bearing with weights around the perimeter and are spun in a person's hand. There are many different kinds of fidget spinners available in stores and online.